kid activities | Mom of Tornado - The realization of the last 30 something yrs. October is the month of spooky treats and sneaky tricks.. This year I decided we would do something super special. 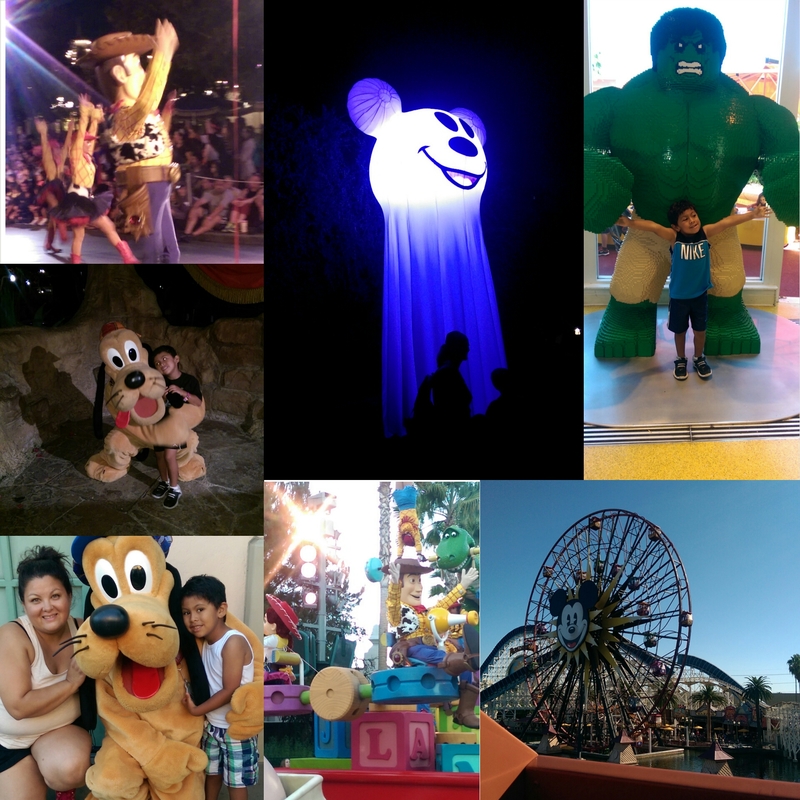 We went to Disneyland and did Trick or Treating with Mickey and Friends. It was such a magical experience for myself since the last time I was actually there was before I could remember even being there. So even as I disguised the trip as something special for my son it was also something super special for me. As soon as the sun went down the decorations and spooky noises came out and I was in awwwww. I loved how they lit the castle and you could see spiders crawling over it and the purple color of the castle so perfect. My son was quick to say he saw spells being cast all over he park and the Magic of Disney made us feel like we were caught in a spell. I loved how they set up stations so the kiddos can collect yummy treat and if lucky catch characters posing for pictures. My son is still talking about his conversation with Pirate Goofy. I honestly cannot wait to go back. I had such a great time with my son. He was a real trooper and did well even thought it was crowded. Unfortunaly we did not get to all the rides that night but the ones we did get on were AWESOME. I have first hand experience on why people fall in love with this place. We are now ready to tackle our next trip with out laniards and pins. Our first pin is the first time at Disney pin that we were given at the ticket counter. I’m already starting to save my pennies so we can go once again next year. Definatly visiting Disney on a budget is very doable. Never let anything stop you. It will all be worth it. 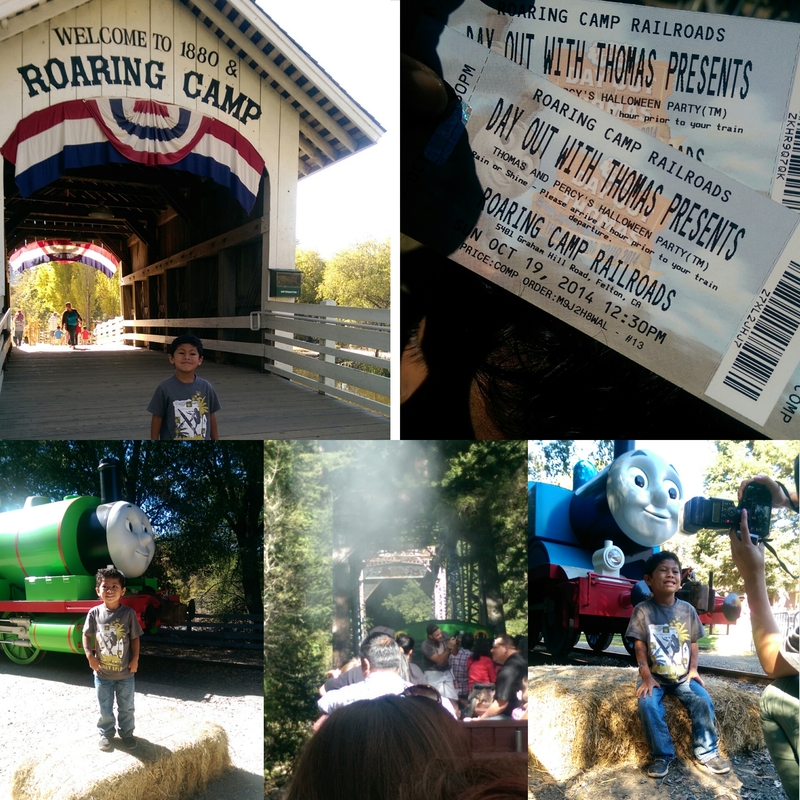 Thomas and Percy Halloween Party at Roaring Camp Railways was such a fun day for my little one. He was able to finally meet his favorite trains; Thomas the Tank Engine and his best friend Percy. This was the first year Percy made it to Roaring Camp. The day was beautiful and all the activities were so much fun. My son could not contain his excitement when we walked into the park and he was surrounded by trains. We were able to take pictures with Thomas and Percy. Sir Topham Hatt was also available to take pictubut we did not have time. We also enjoyed all the activities they were offering. Tattoos and face painting, and picking pumpkins to take home and jumping in the Bounce House. I think having a bouncy house is essential to giving kids a fun time. The best part was our 20 min train ride. It was a relaxing ride thru the area pulled one direction by Thomas and then pulled back to the rail station by Percy. 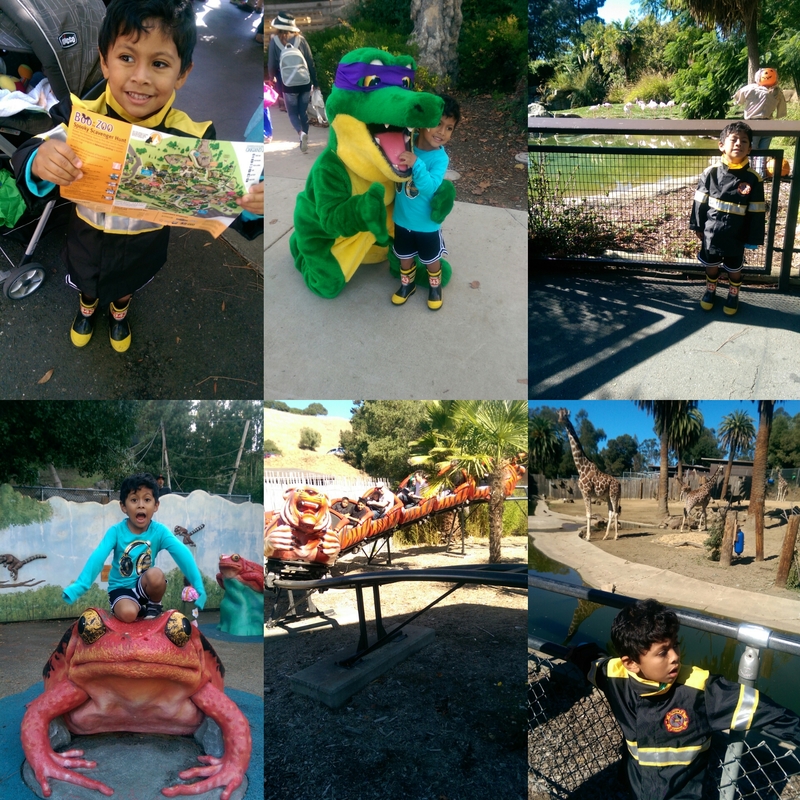 Boo at the Zoo was a super fun event the Oakland Zoo holds over a weekend in Oct. 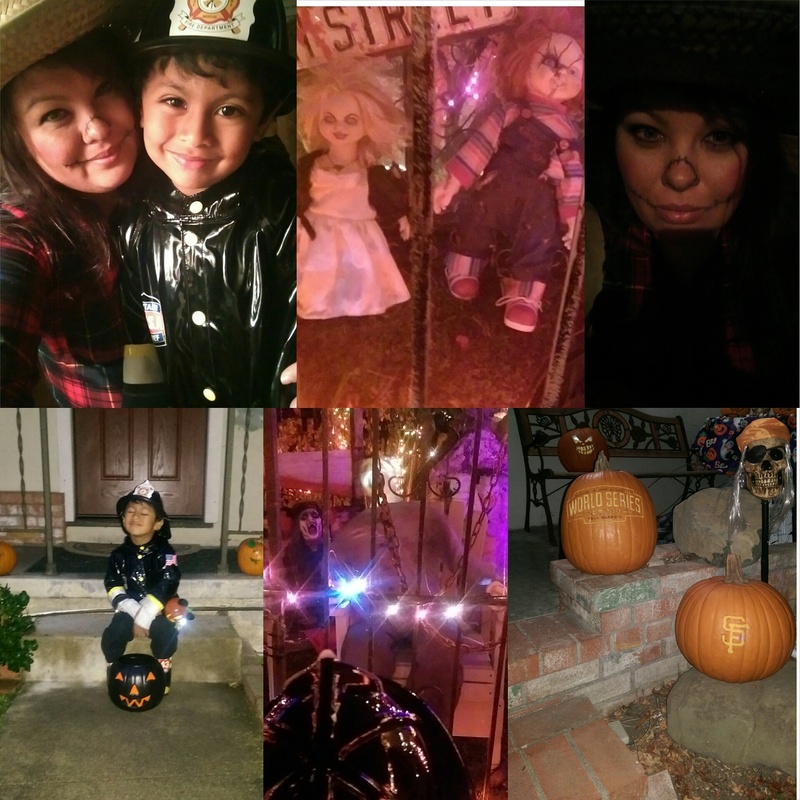 The kids and grown ups are encouranged to come in costume, participate in a costume parade, enjoy the scavanger hunt and maybe take a spooky train ride. We saw huge spooky bats; new to me since the last visit we made to the zoo. I thought they were pretty cool. Most were sleeping but some were up scratching and swinging away. Reminded me of a book we read ; Bats at the beach by Brian Lies. Check it out if you have not. But they were not the only animals we saw up close. During the Animal Theater show we saw a Farrett, a Horned owl and a Black snack. Honestly I cant tell you the name of the snack because I was so freaked out. This mom does not like snakes. But I did learn that its not poisenous and it kills its pray by thrashing it about and this type of snake pretend to be a cobra when its faced with a danger. As we visited different stations to learn about animals we also got our booklet stamped so we could claim a prize at the end of our scavanger hunt. This made being at the zoo so much more fun. To end the day we moved on over to Adventure Land to enjoy a kid coaster, a zippy plane ride and the carasoul. Well I hope you all had a fabulous october and please let me know what cool and fun things you do to celebrate and count down to halloween. Don’t forget to like, comment, subscribe so you never miss a post.